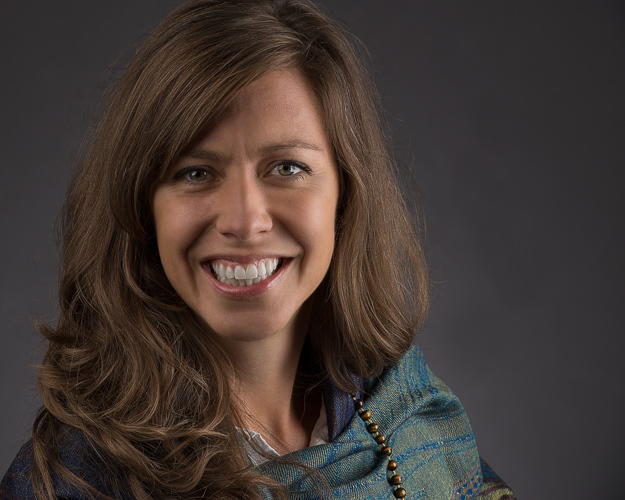 Heather Baines, Ayurvedic Doctor, is founder and Registered Advanced Practitioner of Ayurveda at Roots of Wellness Ayurveda in Boulder, CO.
Heather graduated Doctor of Ayurveda from Alandi Ayurveda Gurukula in Boulder, Colorado. She is a professional member at the level of Ayurvedic Doctor with the National Ayurvedic Medical Association (NAMA), is a Registered Advanced Practitioner of Ayurveda with Association of Ayurvedic Professionals of North America (AAPNA), and is a professional member of the Colorado Ayurveda Medical Association (COLORAMA) where she currently serves as the President of the Board of Directors. Heather is a strong advocate of the practice of Ayurveda, encouraging our Ayurveda sangha and community to continuously improve standards of care in the United States. She works tirelessly to refine her understanding of classical Ayurveda within a modern context of integrated, functional, and holistic medical care. She seeks to improve the public's general understanding of Ayurveda, and actively supports efforts locally and nationally which preserve consumer health freedom and licensure of Ayurvedic Medicine. Heather extends a deep bow of gratitude to her lineage of teachers living and passed: Alakananda Ma and Sadananda-ji, Dr. Bharat Vaidya and his family at Sadhana Ayurved Vidyalaya, Paramahamsa Hariharananda, Paramahamsa Prajnanananda, Paramahamsa Yogananda, Shri Anandi Ma and Dileepji. Clients consistently rate Heather 5 stars. For more information and to read client reviews, click here. Heather has been a guest writer for the Hanuman Festival Blog, Ayurveda NextDoor, and Healthy Ayurveda. As featured in Delicious Living, July 2017 Ancient Wisdom, Fresh Flavors - Meet Heather Baines, Ayurvedic Practitioner. Be Happy Live Well, A modern-day guide to health, happiness and personalized herbal solutions eBook presented by New Hope Media, June 2017.